An Egyptian court on Thursday accepted a prosecution appeal in the Port Said football killings case, meaning that 64 defendants in the case will be retried. The Court of Cassation also rejected nine appeals from other defendants. The case charged defendants with the murder of over 70 Ahly club football fans in February 2012 at an Egyptian league match in the city of Port Said. In March 2013, a Port Said criminal court handed out death sentences to 21 people who are reportedly fans of Port Said team Masry. It also gave 24 other defendants, among them two policemen, sentences ranging from one year to life in prison. Twenty-eight other defendants, including seven senior security officials, were acquitted. Both the defendants and the prosecution appealed the verdicts, which had sparked protests and violence in the city. Thursday's decision may lead to the conviction of the previously acquitted 28 defendants, and the possible easing of the sentences of the others or their acquittal. 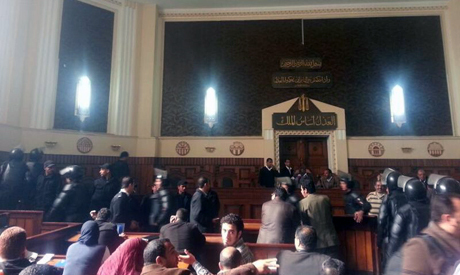 The retrial will take place in a different court district of the Port Said criminal court.